A North East water company is going full steam ahead in a bid to inspire the workforce of the future at its Innovation Festival this summer. School children and students across the region are being invited to Northumbrian Water’s third Innovation Festival, which champions new thinking and innovative ways to change the world. There are more than 1,000 places available for pupils across various different sessions at the five-day event, which returns to Newcastle Racecourse 8-12 July. Appropriate for young people aged eight to 21 years, the sessions will challenge students to use the skills they’ve already got in Science, Technology, Engineering, Art or Maths (STEAM), and understand how they can be used in the workplace. 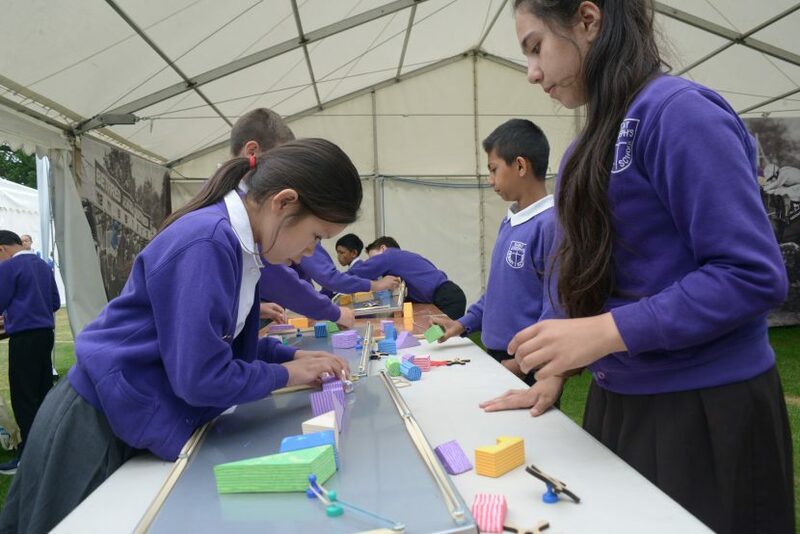 The workshops will include interactive activities such as designing bridges using different materials and testing them to destruction, and learning how to programme a Mars rover robot explorer. Building on the festival’s zero waste approach, older students will be also looking at ways of fixing and re-using broken items such as electronics, gadgets or clothing, as well as pitching ideas for ways to improve the environment. There will also be sessions available for parents to come along too, to help students identify what they like doing and explore some career options they might like to consider in future. It’s all part of the company’s NWG Academy, which inspires and develops people with talent, and helps to retain knowledge in the business. All of the sessions will be held alongside the main festival, where festival-goers will be working to come up with ideas and solutions to help tackle major social and environmental challenges. Organisers are expecting this year’s Innovation Festival to be the biggest yet, with thousands of people from businesses and organisations around the world attending. Northumbrian Water’s Academy Manager, Sophie Carvin, said: “We’re all really excited about Innovation Festival 2019 and the fantastic workshops and sessions we’ve got available for young people. “Having a talent pool with appropriate skills in the North East is fundamental to the future success of our region and we’re committed to playing our part to inspire young people and share what amazing careers are available to them using STEAM. “We want young people to walk away from our festival having had a fun time, and recognising that they’re already building skills that they can use at work in the future. We’ll also give them the opportunity to meet adults using the same skills in their jobs, and give them hints and tips to keep on developing their skills. Places will need to be booked in advance and will be allocated on a first come first served basis. The deadline is Friday April 26, 2019.